How do I get an SBHA home? Complete a simple on-line application form by clicking here. Visit one of our offices where staff will be happy to help you complete an application. Call our Allocations Team on 01750 724444 to request an application form to be sent to you. Once you have registered, your application will be assessed based on your current housing circumstances and needs. You will then receive an application reference number – you can then “bid” for up to five properties each week that you are interested in. See here for full details of how to choose and bid for a home. All of our homes which are available to rent are advertised online each week through SBHA HomeChoice and in our local offices, as well as in the local Southern Reporter on Thursdays and the Hawick Paper on Fridays. How do you allocate homes? We let our homes according to our Allocations Policy, which aims to house people who have the highest need for them. See here for full details of our Allocations Policy. When will I hear whether I have a house? We aim to let you know within three working days of the closing date that you have been successful. Please be aware that if you don’t hear from us it means that you have been unsuccessful on this occasion. There are lots of ways to pay your rent – you just need to pick the one that’s most convenient for you. 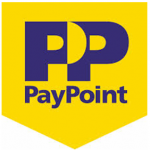 You can pay in person at one of our offices or at the Post Office, by card over the phone, online via the link on this page, by downloading the Allpay app for smartphones (click on image below), or via Direct Debit. What do I do if I’m having trouble paying my rent? Call us – we may be able to help. We can help you set up a payment plan that works for you. We can also help you find out about any benefits you may be entitled to, and give you advice on managing debt and budgeting. Call 01750 724444 and ask to speak to a Financial Inclusion Worker. When are the rent-free weeks? The rent-free weeks for 2017 are the week beginning 27th March, the weeks beginning the 24th July and the 31st July, and the week beginning the 25th December. You will only be able to take advantage of our rent-free weeks if your account is not in arrears. How do I organize a repair? The link to our repairs service can be found on each page of our website, or find it here. The Repairing and Maintaining Your Home leaflet tells you more about our repairs service, including our timescales and service standards. Repairs can be organised around your needs, with appointments offered from 8am to 4.30pm. Who can I call if I’m having problems with my neighbours? We have a dedicated Anti-Social Behaviour service, who can be contacted on 01750 724444, or by emailing asb@sbha.org.uk We can help you agree on the action that needs to be taken, and work with you and our partners at Scottish Borders Council’s Safer Communities Team, Victim Support, Mediation and other agencies to resolve the situation.